***Workshops are still pending approval from the state. ONLINE REGISTRATION CLOSES AT 11:00 A.M. THE DAY OF THE WORKSHOP. FEE: All workshops are $32.00 per person if registration is received 2 days before the workshop date; $38.00 at the door or if registration is received less than 2 days prior to the workshop. NO Phone registrations or checks when paying online. REGISTER EARLY –– SPACE IS LIMITED. We will contact you only in the event the class has been cancelled or is full. Fee includes materials, refreshments and discussion period to address specific concerns of participants. Workshops qualify for Continuing Education Credit with the Office of Child Care (OCC) (Provider #CKO-30975). Topics have also been submitted to the Maryland Board of Examiners for speech-language pathologists and audiologists for Continuing Education credit. Call TLC prior to registration to confirm approval for MD BOE. Walk-ins should call ahead (301-424-5200) to make sure the workshop is being held & isn't full. TLC reserves the right to cancel a workshop for insufficient enrollment. Advance cancellation notice of three (3) days is required for a refund. Let us know if there are any accommodations that you may need to fully participate in these workshops. 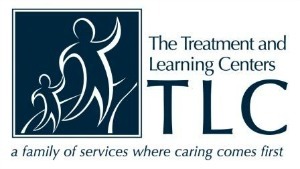 TLC is a non-profit organization founded in 1950 that improves lives and expands possibilities for individuals with special needs. Celebrating over 60 years of serving the community, its services, which serve around 2000 individuals annually, include: The Katherine Thomas School, The Testing and Tutoring Service, The Outcomes Service, The Outpatient Services, The Family Hearing Center, and TLC’s Summer Programs. Please contact Lisa Torvik at 301-424-5200 x6923 for information.